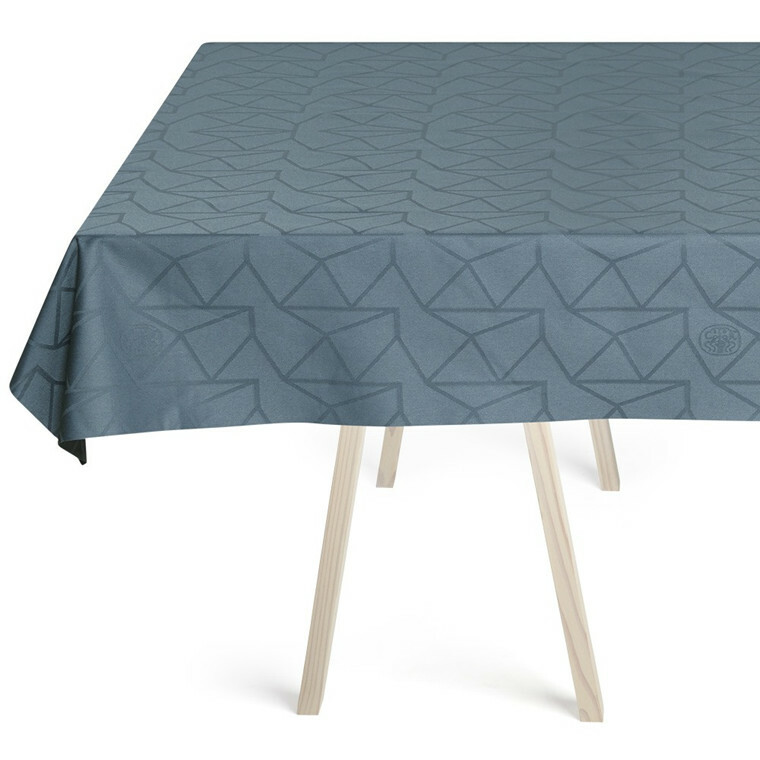 A classic Christmas tablecloth with a modern twist with the star as a design element creating ambiance. 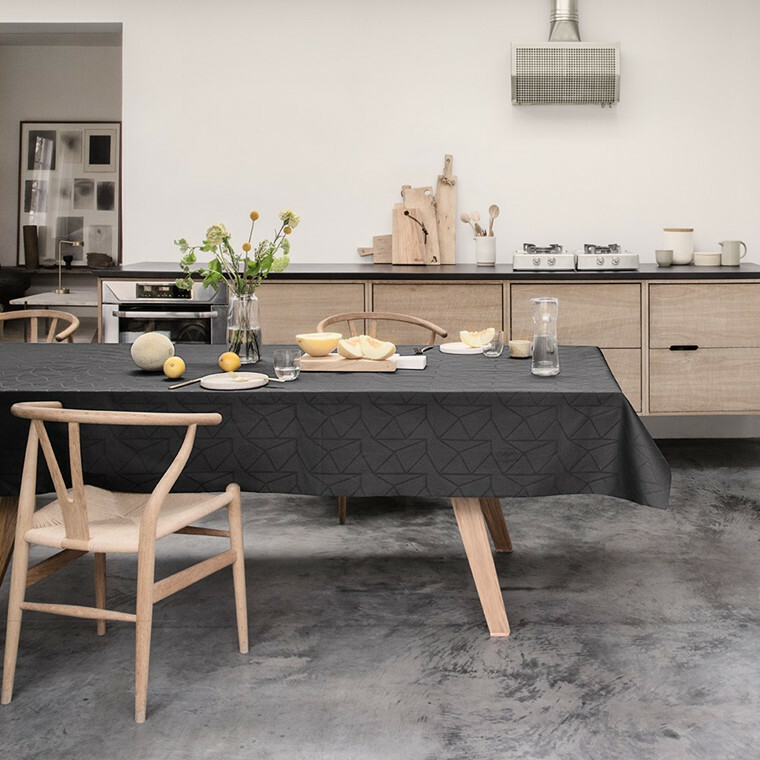 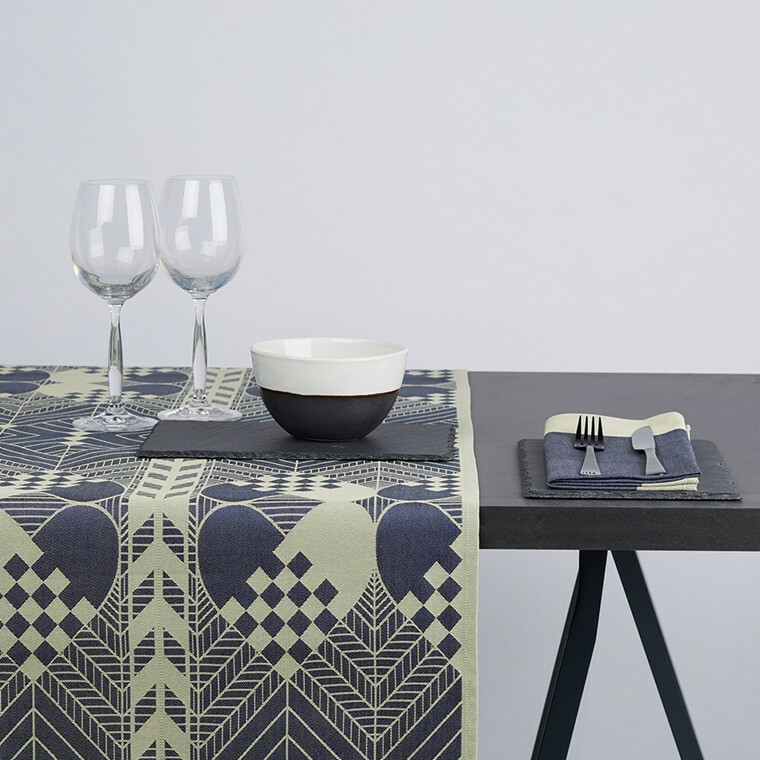 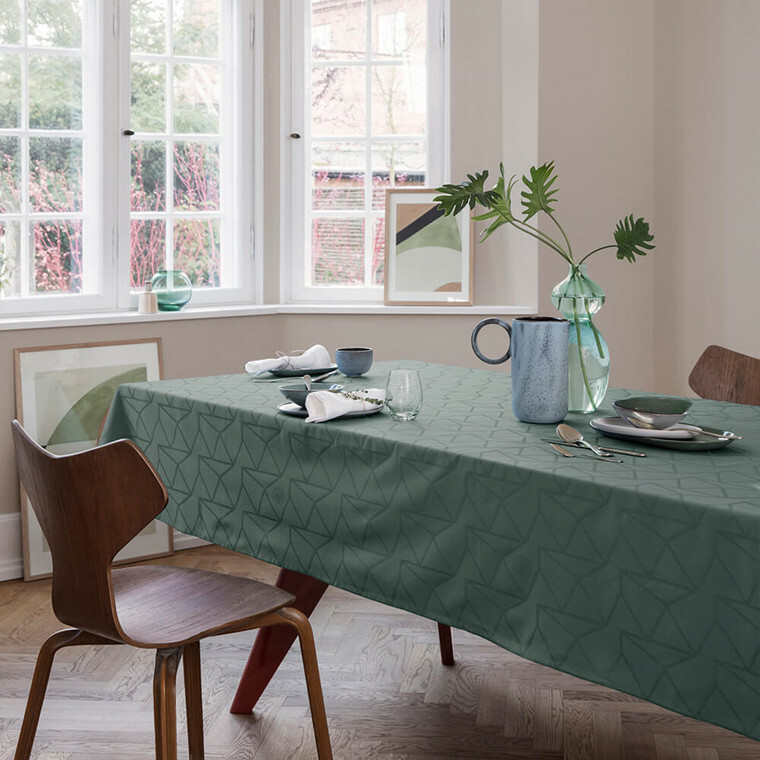 The tablecloth has a stain-resistant surface, which is welcome around Christmas time, and its essence is so stylish that it will soon become indispensable at the Christmas table for many years to come. 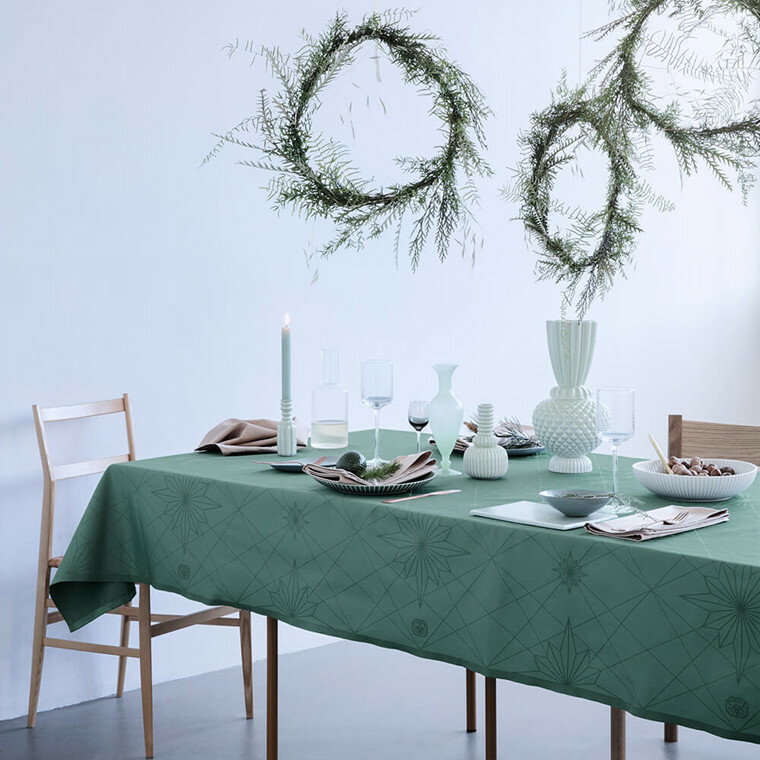 The design has been created by the Danish-Icelandic ceramist Thora Finnsdottir. 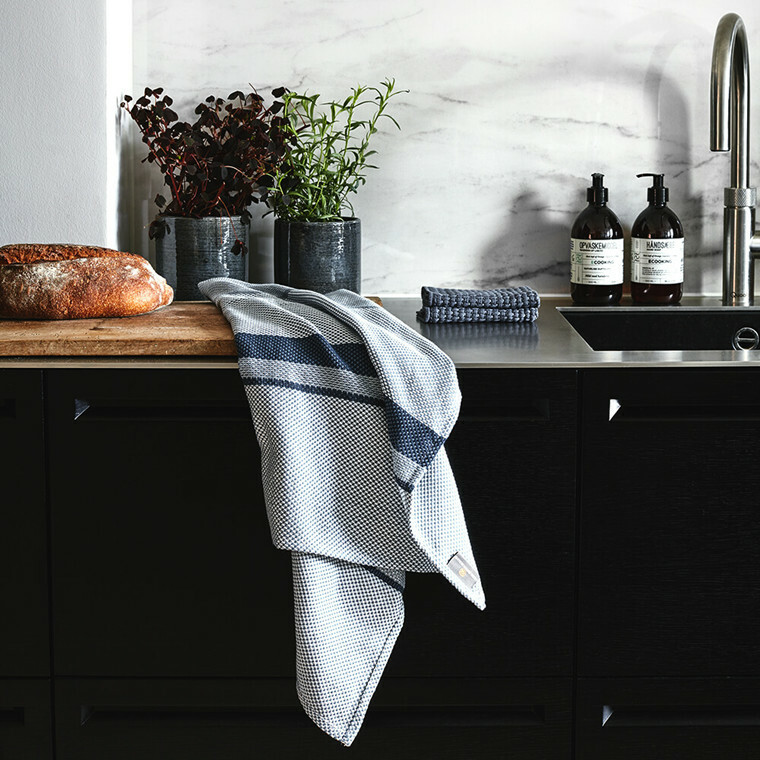 Her ceramic universe and unique design has been converted to texture in close collaboration with Georg Jensen Damask. 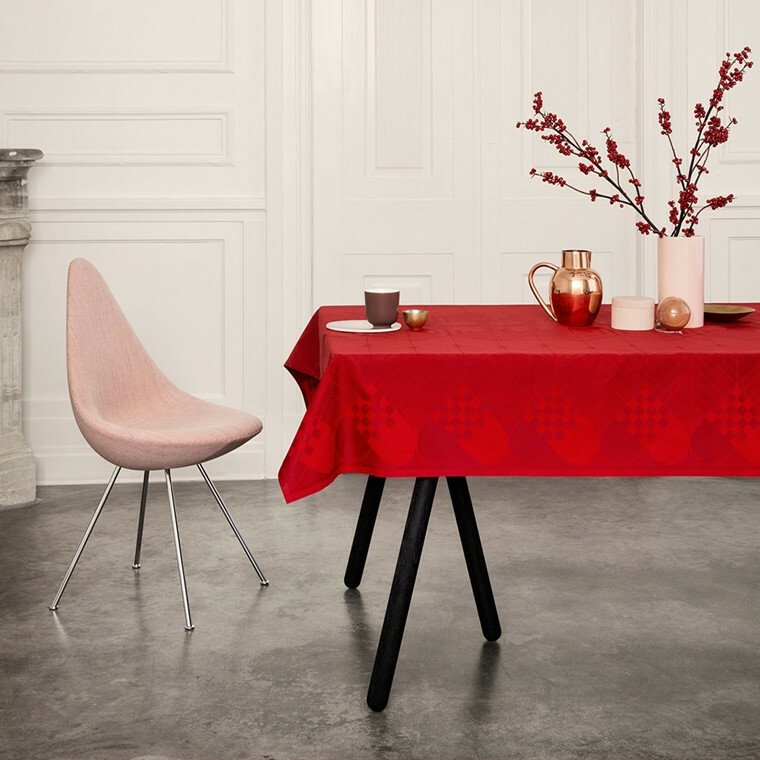 The tablecloth has a lively and playful grid which ads new life to the universal star design that is part of Christmas. 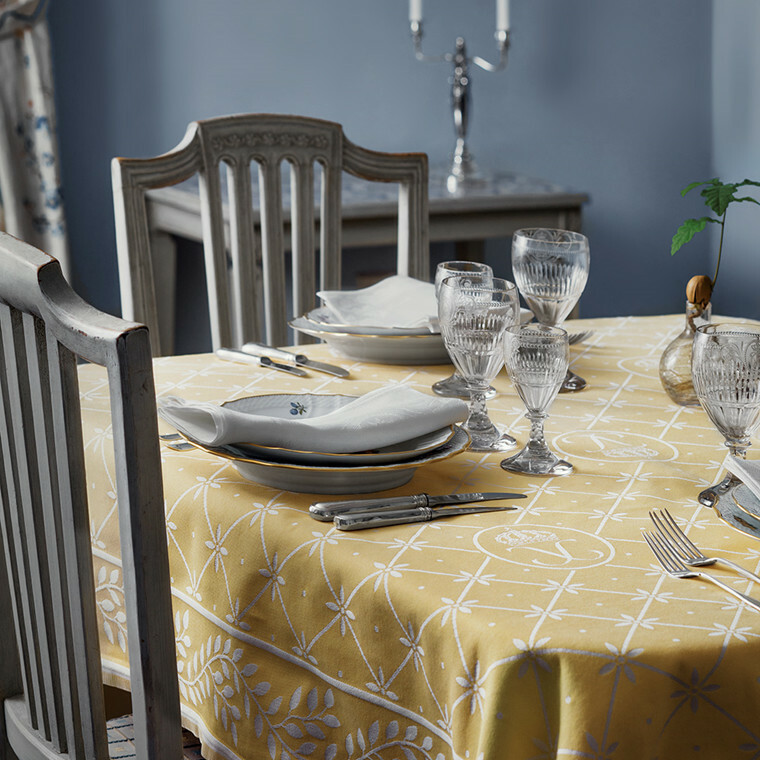 The white FINNSDOTTIR Christmas tablecloth is a new classic which, with its simple beauty, brings a sense of aesthetics to the table and allows a wealth of stars to illuminate it. 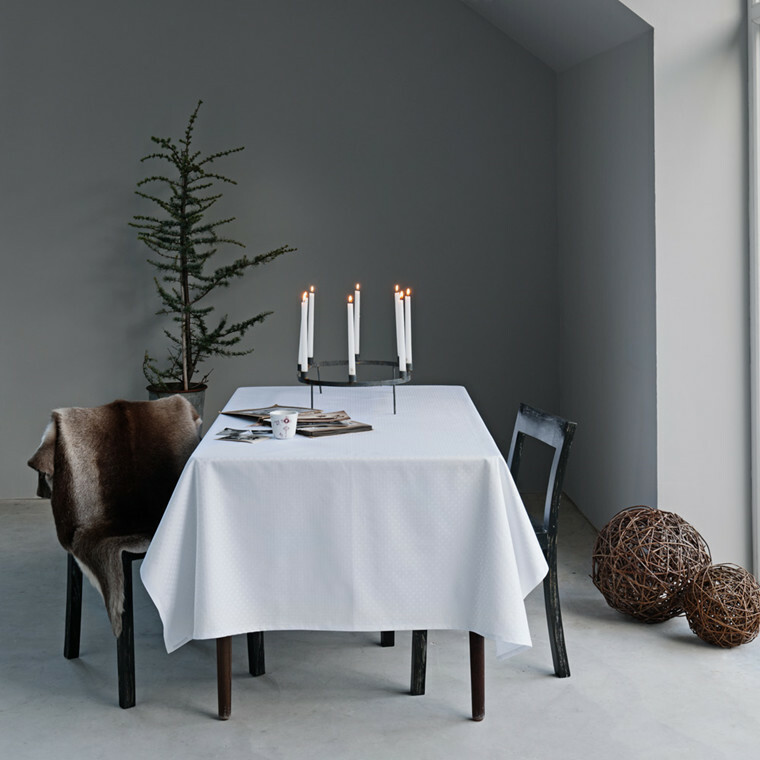 A stylish underlay for a snowy white laying of the table and at least as nice when accompanied by all the colours of Christmas, both traditional and new ones. 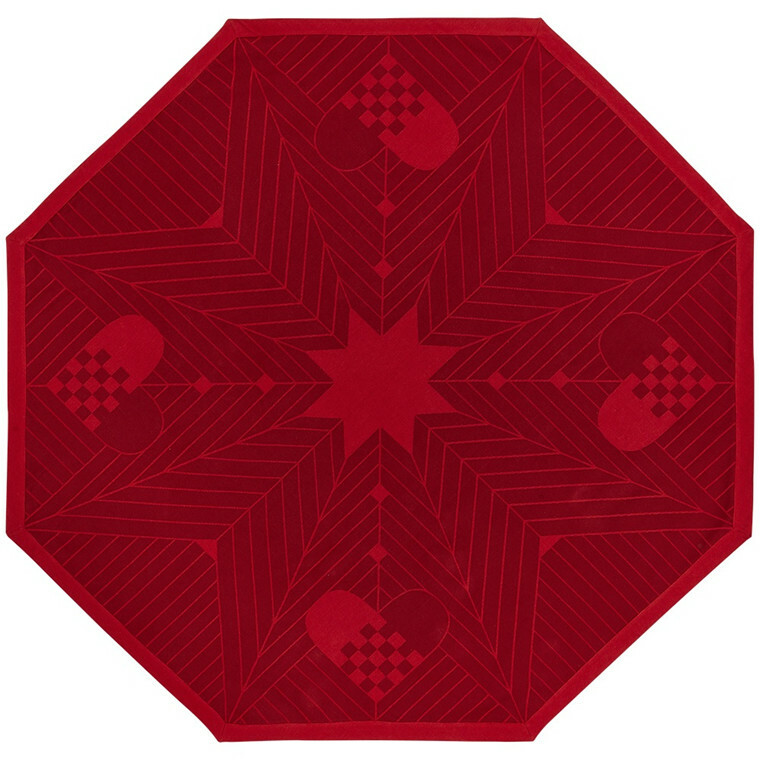 The FINNSDOTTIR design is also available for dish towels.